The CMS-PST-CPR is intended for integration any digital and analogue cathodic protection rectifiers (CPR) and drainage protection units (DPU) which don’t have the remote control functions into the corrosion monitoring system. Transmitting the alarm messages in case of the sensor actuating and exceeding the monitored parameters out of the given range. 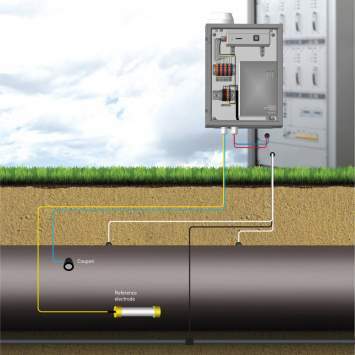 In addition to CPR monitoring and control, the system allows you to monitor cathodic protection parameters at installation location remotely.